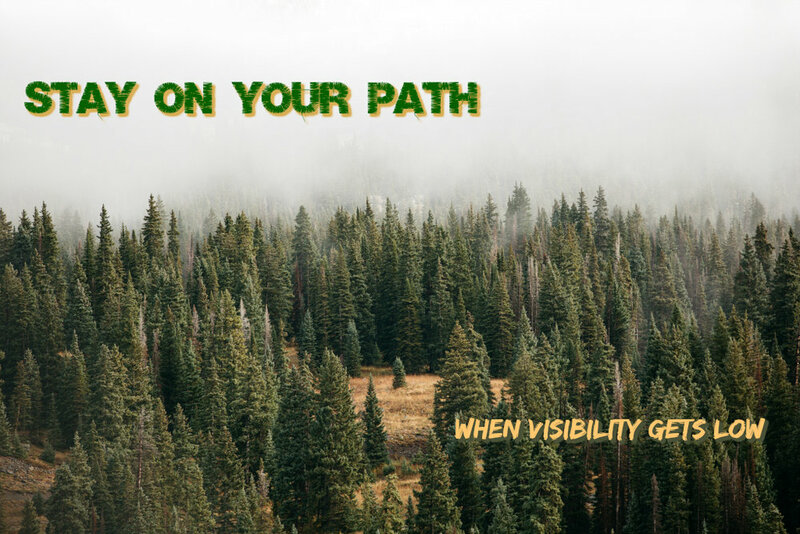 I write about email and long-term marketing, and whatever else crosses my mind. This is the moment you've trained for. You've done all the hard work. Research. Planning. Networking. Gaining Experience through the school of hard knocks. Everything is in place, just waiting for you to move forward. So do it! Take the leap. Spread your wings. What mountains will YOU climb in 2018? What moat protects YOUR business? Awesome customer service and long-term consistent communication act as a moat to protect your contacts' business from your competitors; why would your contacts ever call another Realtor after all you've done for them over the years? 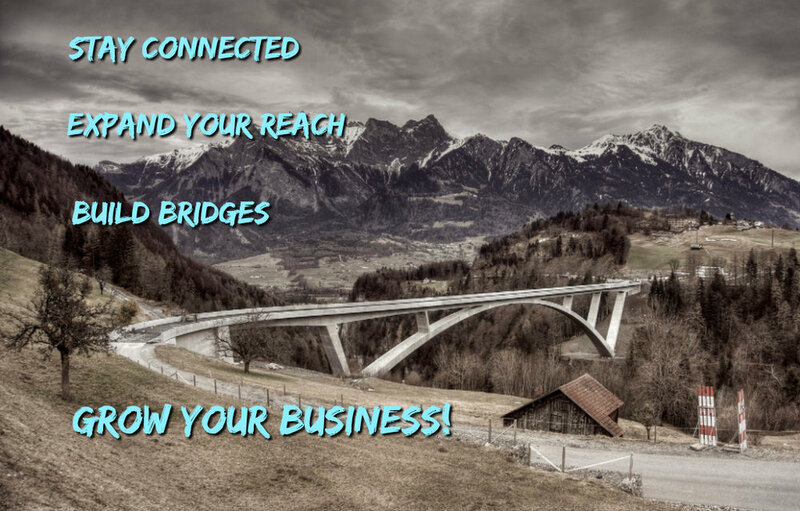 When you're in the business of networking, and being available when needed, and providing value upon demand - staying connected with your contacts and building bridges between your contacts is the best way to grow your business. Any Realtor can run a CMA when your contact is ready to list his house for sale. It's the value provided during the several years prior to that moment which determines whether or not he even needs to call another Realtor. Clients, family, meetings, commitments, vacation, illness - there are many times when we get so busy we lose sight of the big picture, and it's all we can do to get through the day! That's why it's good to have a plan - a path to follow - so you know what needs to be done each day in order to achieve your big-picture goals. Then, once in awhile, you'll find a great vantage point on a sunny day, where you'll have a chance to see the big picture again and plan out the next stage of your journey. 11 Years of blogging - What have I learned? 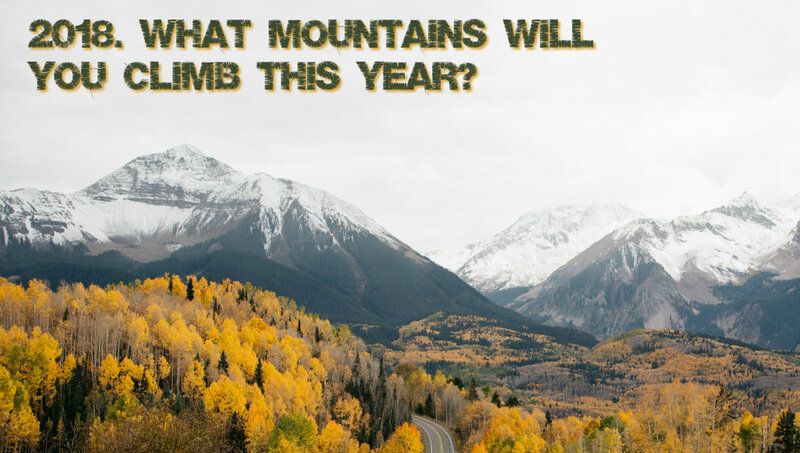 What mountains will YOU climb this year? You've got one full year. 4 quarters. 12 months. 365 days. And if you can do a little bit at a time, 3 times per day, you've got more than 1,000 blocks of time to work with. Imagine what we can do with 1,000 attempts at improvement, at moving forward. Let's make the most of it! Get the big stuff done first. It's dark when you leave home in the morning. It's dark when you get home after work. And it feels like it's 9:30 by dinnertime. 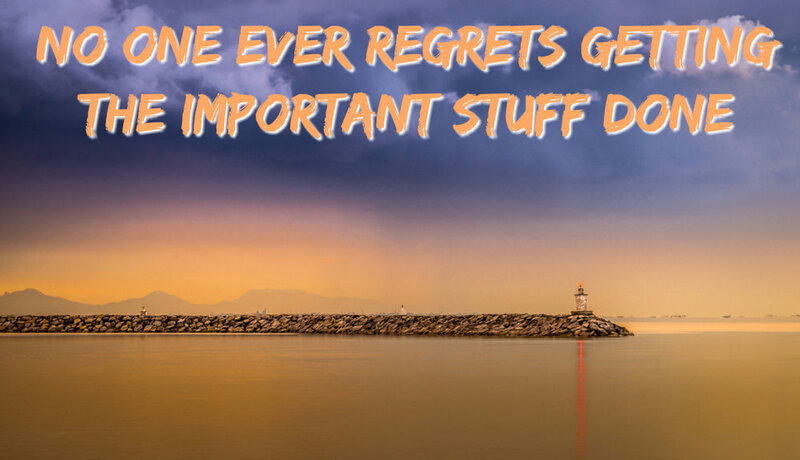 No one ever regrets getting the important stuff done. Getting out of bed for an early morning workout is hard. Making sales calls is hard. Writing a newsletter is hard. We would rather be sleeping, or making small talk, or checking Facebook. But no one lays down in bed for the night with regrets about getting the important stuff done that day.